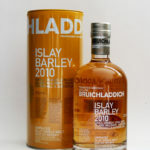 This Bruichladdich Islay Barley 2010 is unpeated and distilled from grain grown at Coull, Cruach, Dunlossit, Island & Mulindry, Rockside, Starchmill and Sunderland Farm located on the island. 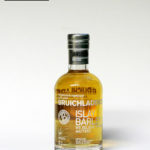 It is matured in ex-bourbon and French wine casks and bottled at 6 Years Old. 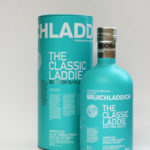 "Unpeated - a fascinating exploration of the influence of terroir on artisanal single malt whisky"
The Classic Laddie is made using 100% Scottish-grown barley, trickle distilled, then matured for its entire life by the salt-swept Atlantic shores of Loch Indaal in premium American and French Oak. 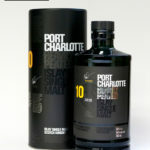 The Port Charlotte 10 Years Old has been conceived, distilled, matured and bottled on Islay alone. 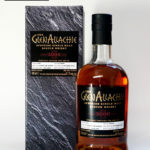 It is peated to 40ppm and is made from 65% first fill American whiskey casks, 10% 2nd fill American whiskey casks and 25% 2nd fill French wine casks. 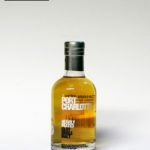 The distillery says "This Port Charlotte Islay Barley 2011 is the second heavily-peated release from our uber-provenance single malt series. 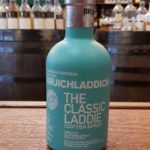 Harvested in the summer of 2010, our barley was raised on three Islay farms, by Raymond Fletcher, Neil McLellan and Raymond Stewart. The resulting rich and aromatic whisky expertly balances the power of peat with the elegance and finesse of our trickle distilled spirit." 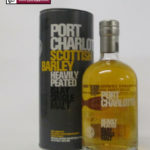 This Port Charlotte Scottish Barley is peated to 40ppm and bottled using Islay spring water from the Octomore field of farmer James Brown.